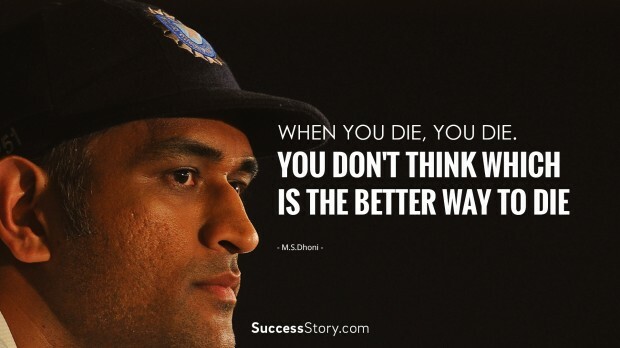 With the T20 World Cup injecting new energy into the game of cricket around the world, MS Dhoni is one of many players who have enjoyed success and penned some very memorable quotes for cricket fans and many young people around the world. Though he is among the older players who have continued to improve their form amidst several talented younger players, he is considered by many best captain of the Indian team. 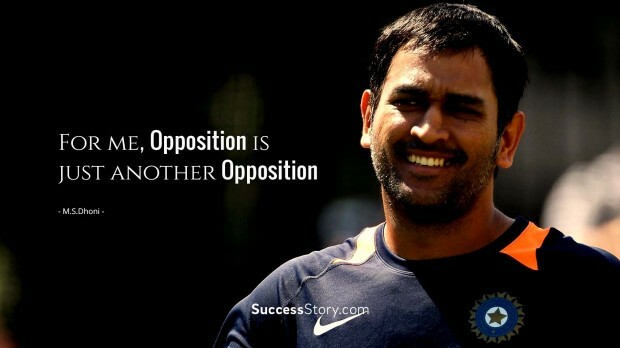 Dhoni holds many records such as the most wins as Captain by any Indian team. 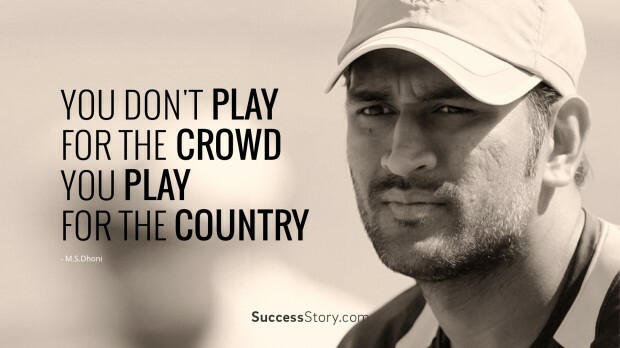 "You don't play for the crowd, You Play For the Country." 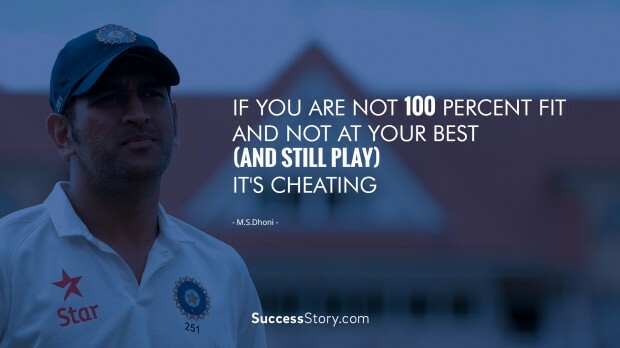 "If You are not 100 Percent fit and not at Your best (and Still Play) It's Cheating"
"When you Die, You Die. You don't think which is the better way to Die." "You have every right to ask me that. It's your prerogative. 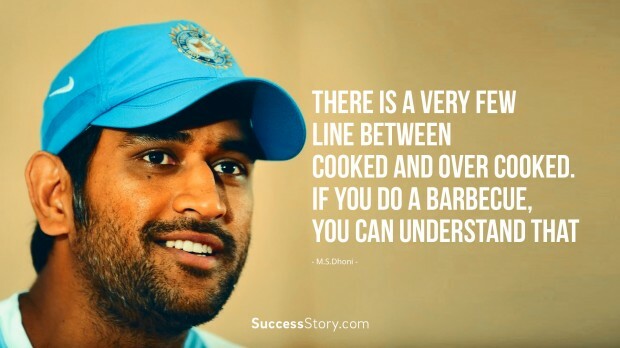 But I have the right to not answer"
"There is a Very few line between Cooked and Over Cooked. If you do a Barbecue, You can understand that"
"For me, Opposition is just another Opposition." "I Have Three Dogs at Home. 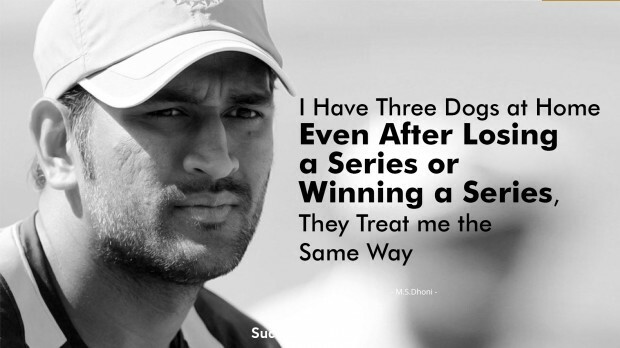 Even after Losing a series or Winning a series, They Treat me the Same way." 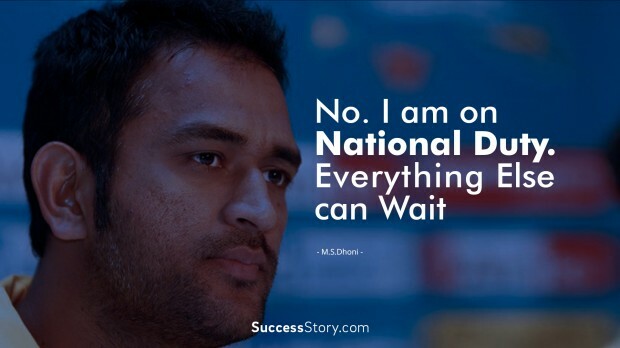 MS Dhoni has a huge following and his many famous and determined quotes come as no surprise for many who have seen him play for the national team. 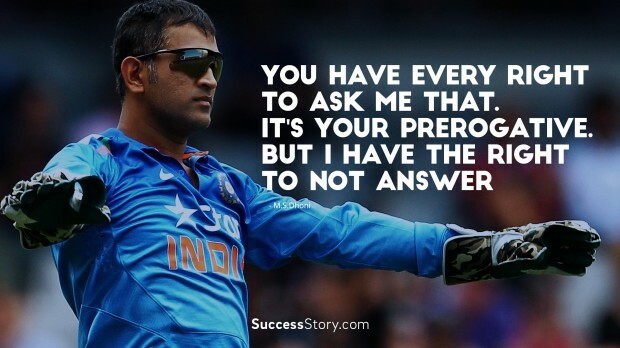 As a captain of the team in limited over games such as T20 World cup and tournaments he is always very focused on the game and never allows the opposition to sway his resolve. He is a right handed batsman, wicket keeper and is regarded by many one of the greatest finishers the game has had in recent times. 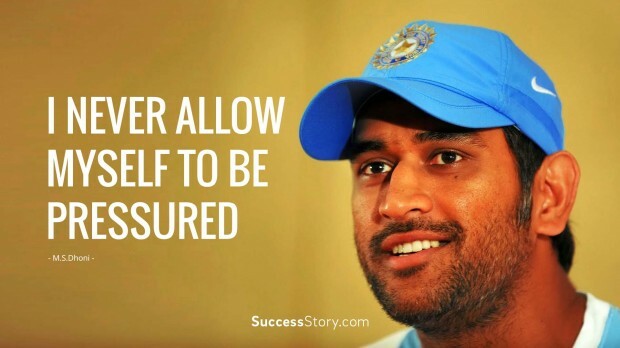 Both on and off the field MS Dhoni is known for his determination and focus on reaching his goals. It is this trait that more often than not carries his voice over to fans and people from all walks of life in his quotes. 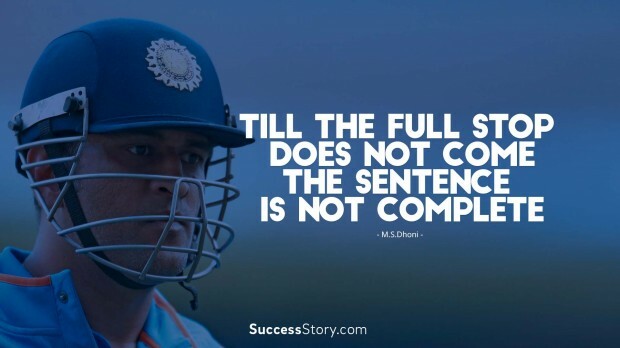 One of my favorite quotes by MS Dhoni speaks of victory suggesting that anything accomplished with 100% concentration should be considered a success regardless of the end result. With an attitude like this it is now wonder why his following and quotes are so inspiring.